The case is made of stainless steel. The diagonal of the LC screen with a resolution of 128 x 128 pixels is equal to 1.28. 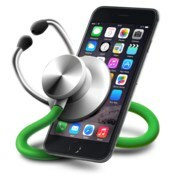 "The dual-core ARM Cortex M0 Nordic 51822 processor is used. In addition, Allview Allwatch has the IP67 certificate, which means that they are protected from splashes of water and contaminants. 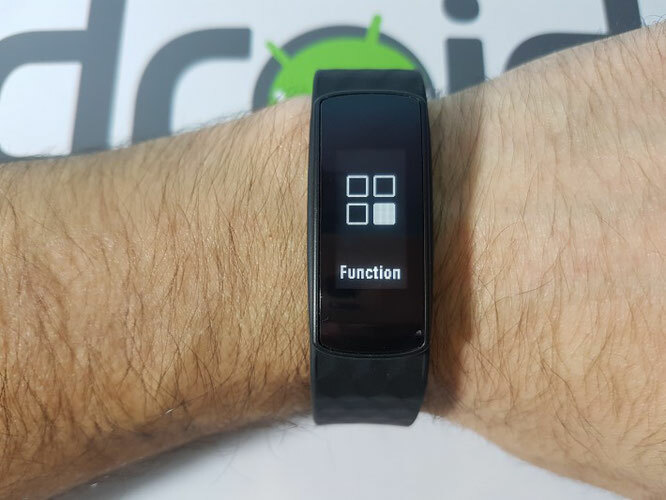 that the battery charge is enough for a period of up to ten days, while the manufacturer equips the clock of its own OS.The connection to the smartphone is made using Bluetooth 4.0, the watch is compatible only with Android-devices. 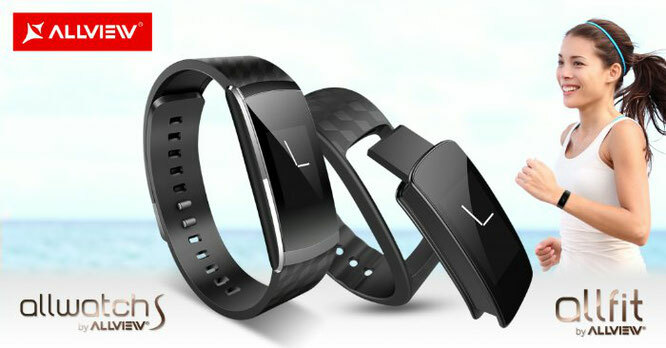 Allview Allfit has the classic form of a smartband, different from the design of an ordinary watch. The main body is made entirely of plastic and the rubber strap. Neither does this model come with side buttons, not needing some. Unlike Allwatch, to whom I was a bit tired of getting started, here I was with the lesson learned and I immediately lit it by holding on to the screen for a long time. If you pull it out of the box, you know nothing about it and you want to get it loaded, you'll have a little shock. How do I load if there is no cable in the box and there is no contact point on it? Very simple. 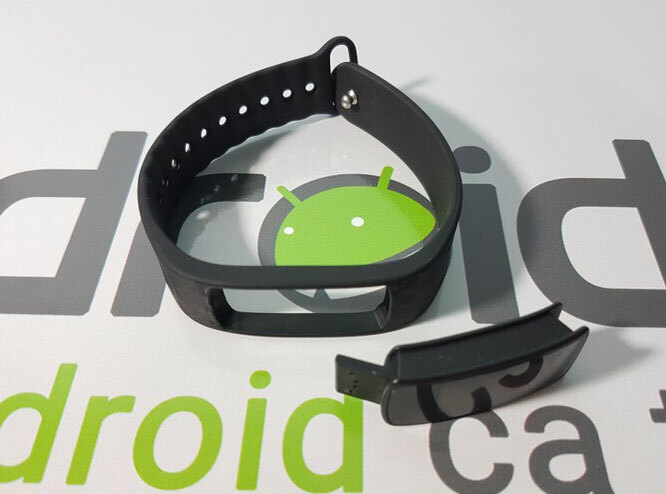 The rubber strap is removed, a little forced, and you have access to the USB for charging. Hard, huh? The problem is that if you do not know which side to force you to risk breaking the loading port, that's why I recommend you pull the bottom (as you look at it). You will feel a smoother portion than in the upper area of the screen, making it possible to detach (see the above image). 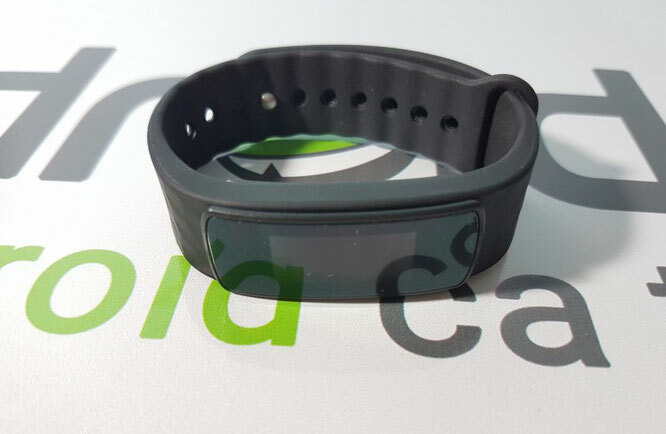 Allfit comes with a 0.96-inch monochrome OLED display with 128x64px resolution, enough for an smartband. You do not need to see the hour, the notifications, or the calories consumed. The disadvantage of this type of screen is that it does not allow it to be configured, and the advantage is the low power consumption. 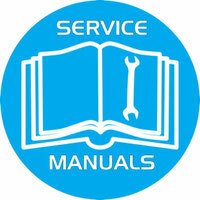 The software provides exactly what is strictly necessary for what is dedicated. 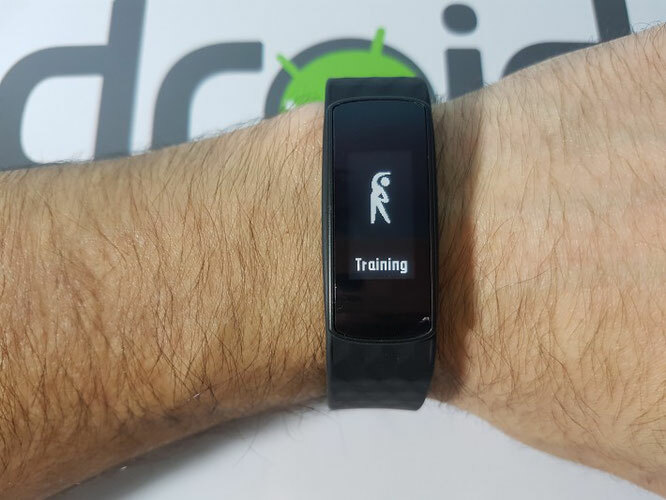 The menu comes with organizer functions, SMS, some options and recording of physical activities on various types such as running, walking, jumping rope, table tennis, basketball and more. The IP67 certification makes it resistant to liquid and dust contact, as well as a device dedicated to intense sweating. With an accelerometer, the clock knows how to turn on your screen alone when brought into the normal position for eye contact, which saves your battery. The menu moves very well, and the transitions between functions are fluent, without hanging somewhere. The dedicated app, Allwatch, helps clock synchronize with your smartphone or tablet through Bluetooth 4.0. In it you can check your distance, calories, sleep quality, set alarms and more. Allfit's battery lasts 6-7 days, depending on how much it is used or connected to the smartphone. 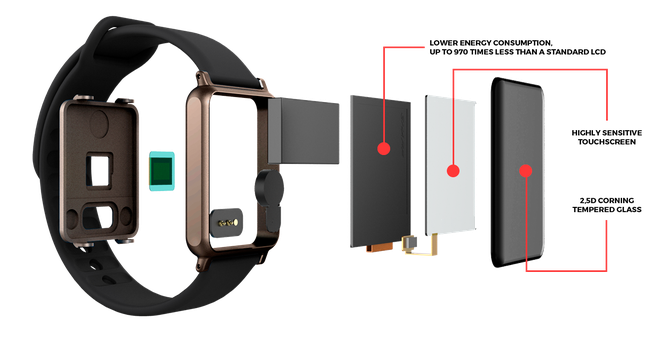 As I said above, loading is done directly into the USB port, removing the "brain" of the watch from the strap. 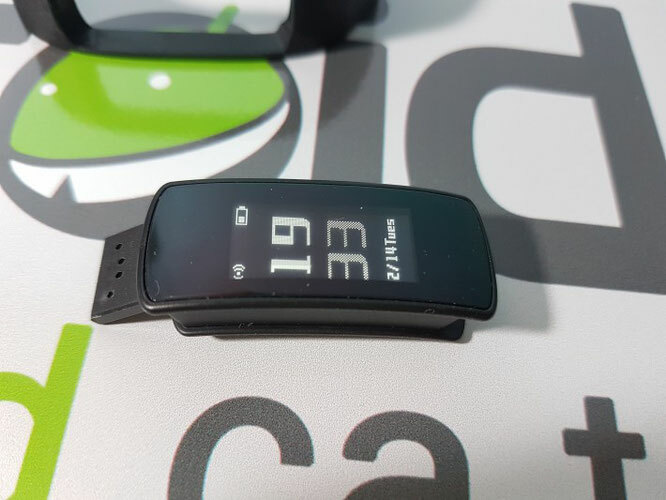 Allview Allfit is a quality smartband / smartwatch, good for those who are not very pretentious. I say this because the claims come at 3-4 times higher than Allfit's. 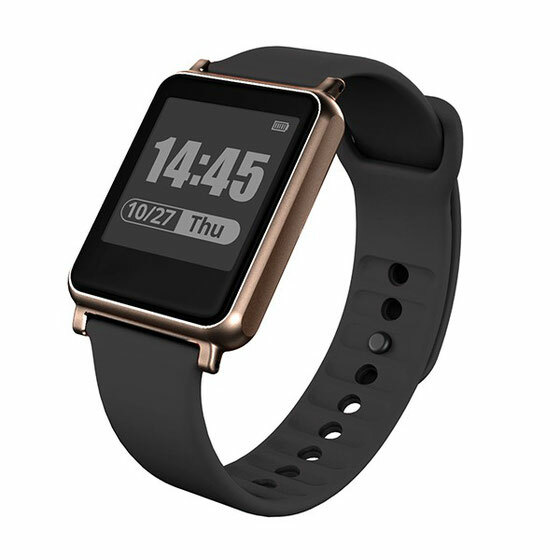 It's enough for those who want a task tracker and smart watch. It's easy to use and barely handy.